Customer service means so much to us. Naturally, we are keen to maintain our reputation as the highest ranking London ladies dress shop on Google. This 5-star review score reflects the levels of service that we like to provide to our clients. 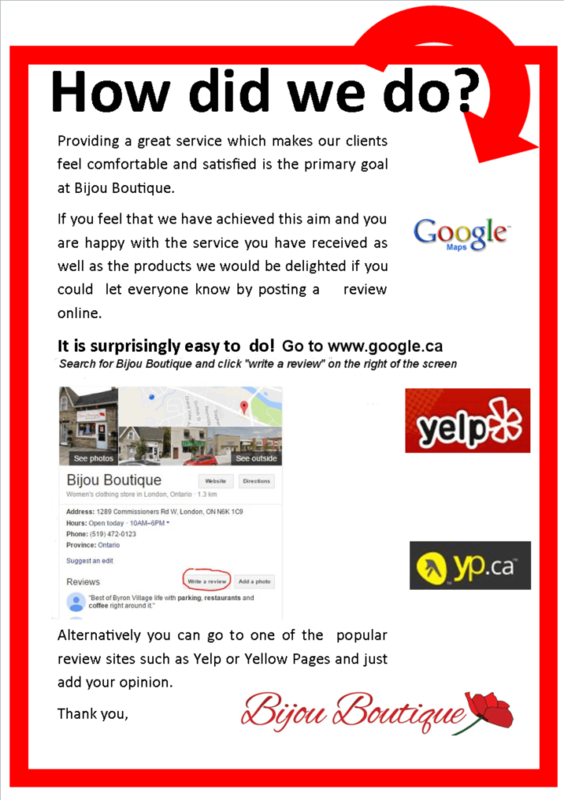 If you have been a Bijou Boutique visitor we would be grateful if you would spare a little time to add your opinions in an online review. and am grateful if you will let others know. I will be pleased to add your comments on this website also.